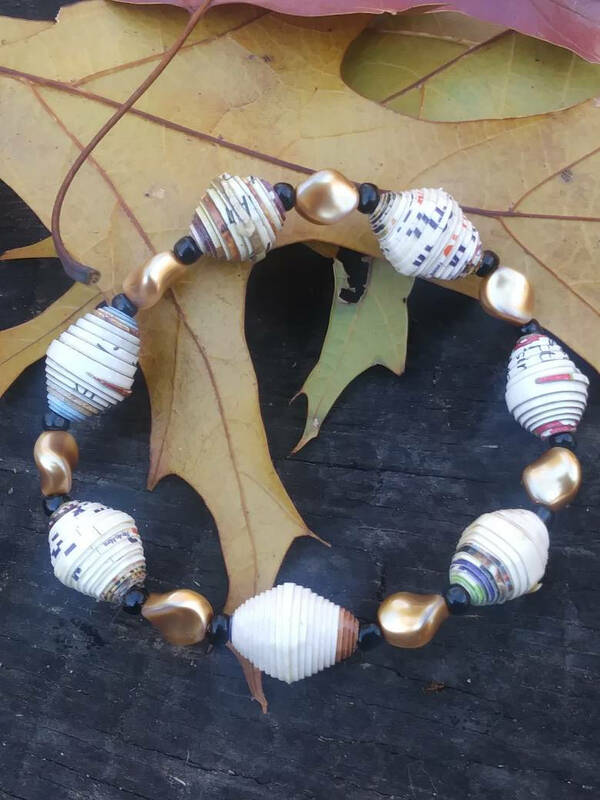 Paper and pearl stretch bracelet. 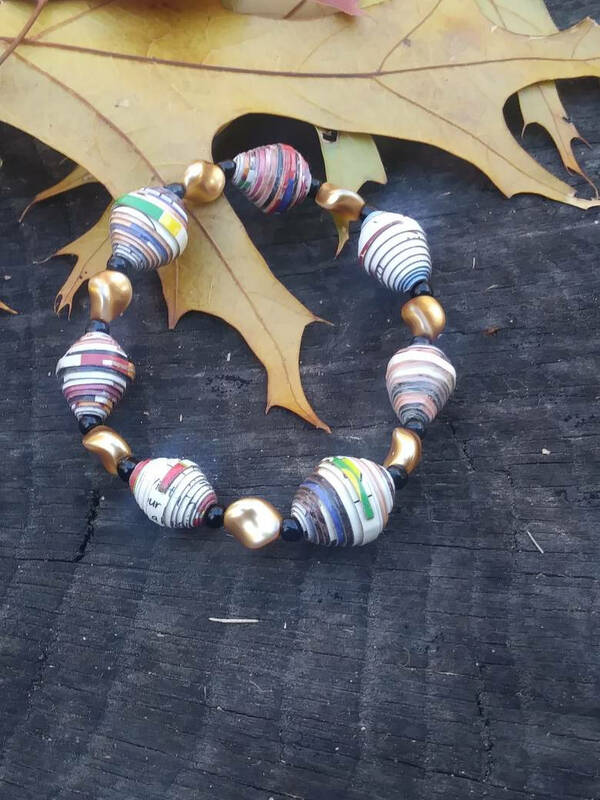 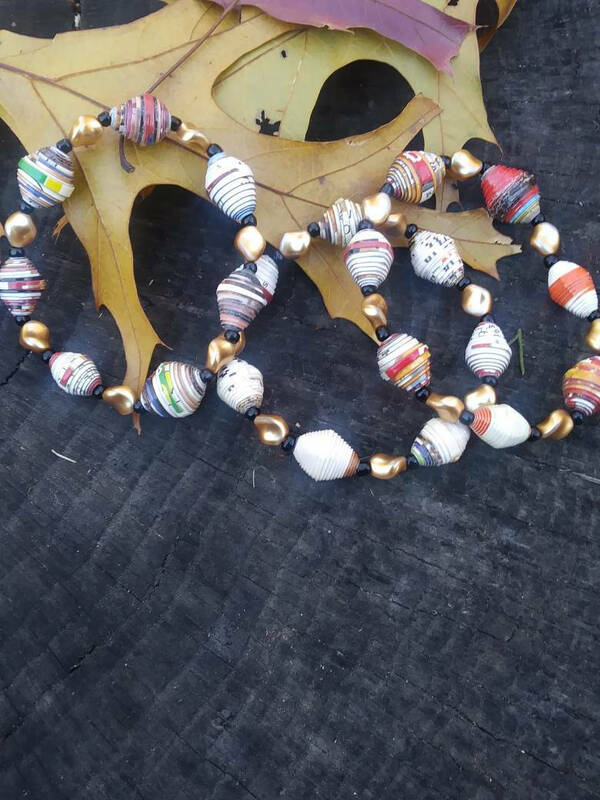 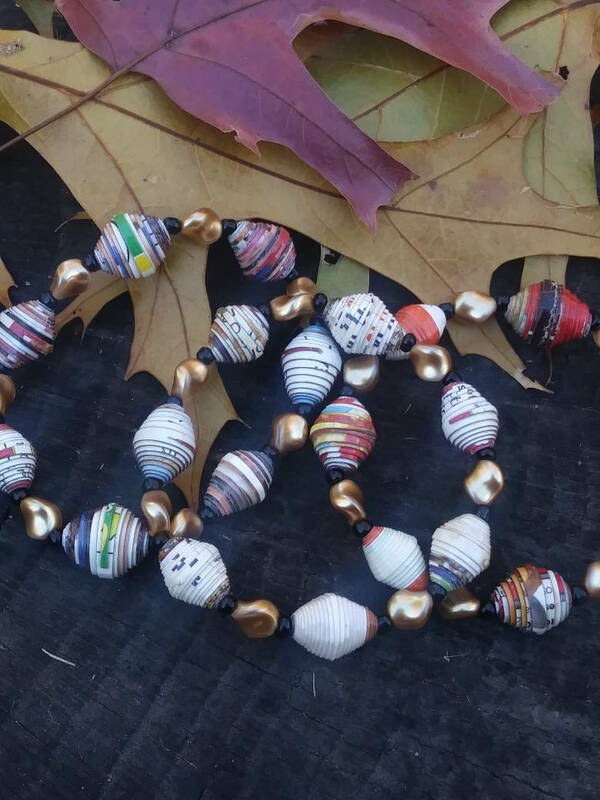 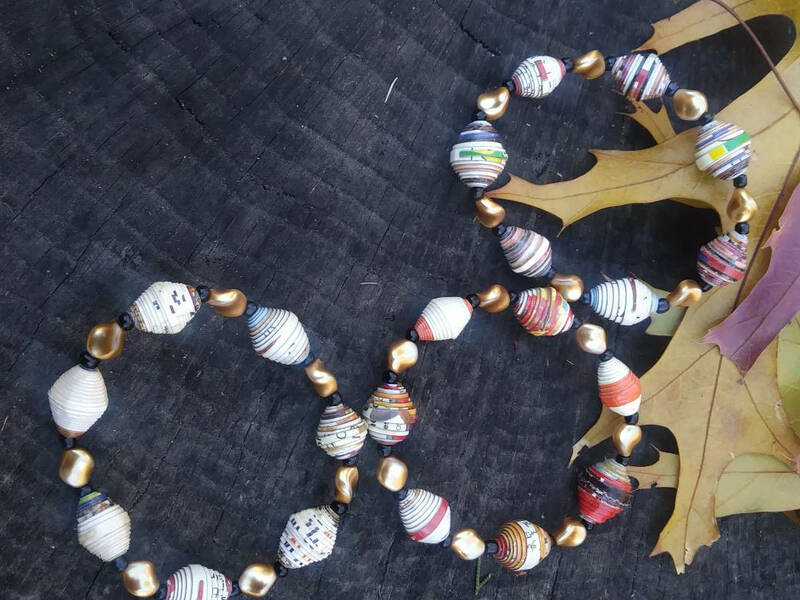 Handmade multicolored Haitian paperbeads, gold swarovski crystal pearls and black glass beads. 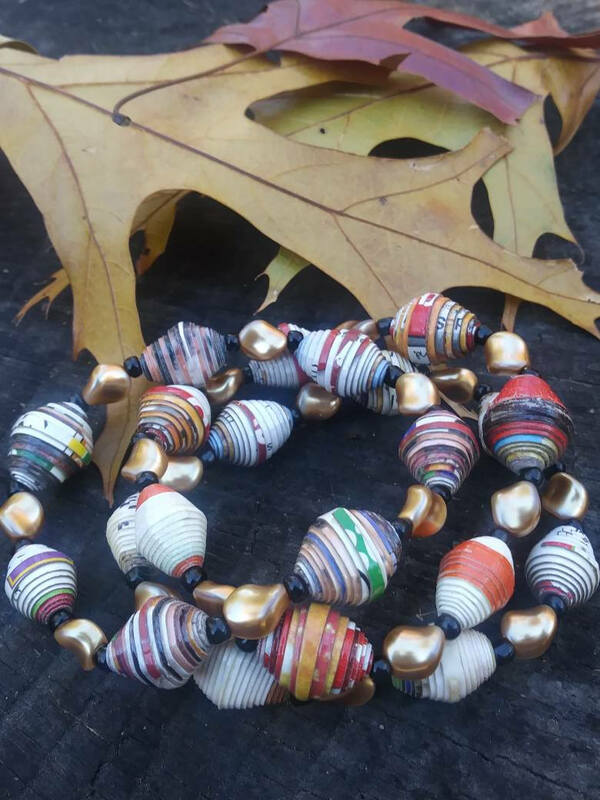 Although paper beads are varnished, they shouldn't get wet. 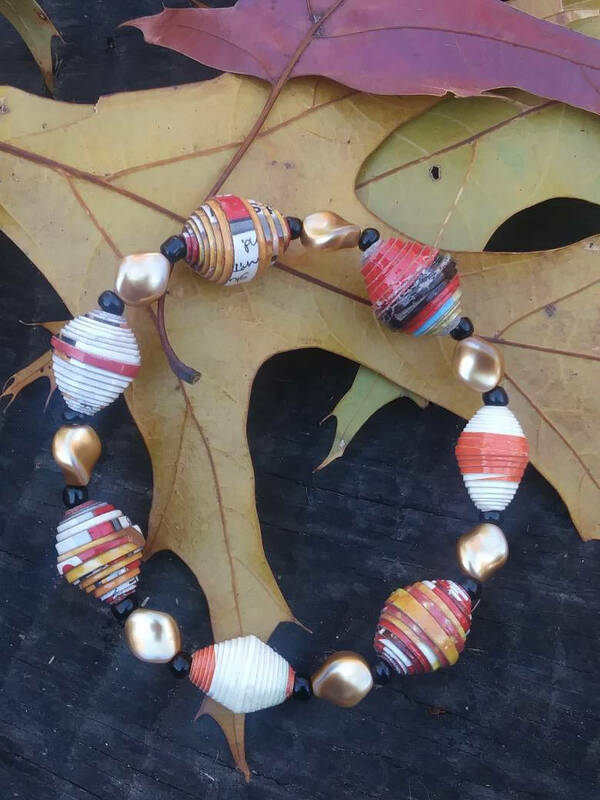 Price listed is for one bracelet.